It’s hard to begin watching the Netflix movie ‘The Highwaymen’ and not think about the way it will inevitably end — in a famous ambush and a hail of bullets. For film fans of a certain age, we’ve practically seen the fatal ambush. ‘The Highwaymen’ is haunted by the 1967 film ‘Bonnie and Clyde,’ which had at its final scene a torrent of gunfire riddling Faye Dunaway and Warren Beatty. That film romanticised the criminal duo who killed 13, and their fatal ambush seemed less like a necessary law enforcement action than a gutless slaying. Now, 52 years later, comes the reverse view with ‘The Highwaymen,’ screenwriter John Fusco’s tale of how two handkerchief-wiping, retired Texas Rangers tracked them down. If Bonnie and Clyde were the heroes of director Arthur Penn’s 1967 film, lawmen Frank Hamer (Kevin Costner) and Maney Gault (Woody Harrelson) are the ones here — gruff, taciturn and hard-nosed officers. Director John Lee Hancock is so unwilling to glamorise the young outlaws that he virtually never focuses his camera on Bonnie and Clyde, instead using dreamlike filters or odd angles. The film has been gestating so long that it was once going to star Robert Redford and Paul Newman, which raises all kinds of nostalgia issues. (Think about the leads of ‘Butch Cassidy and the Sundance Kid’ and ‘The Sting’ donning fedoras and dark suits, getting into Depression-era Fords and fighting on the OTHER side of the law). Now, when it comes to the end, this film describes the final shoot-out in a very different way than ‘Bonnie and Clyde.’ (Hint, the cops had some honour.) The film often feels in many ways as an attempt to correct history, or at least the previous Dunaway-Beatty-led portrayal of a bumbling Hamer. 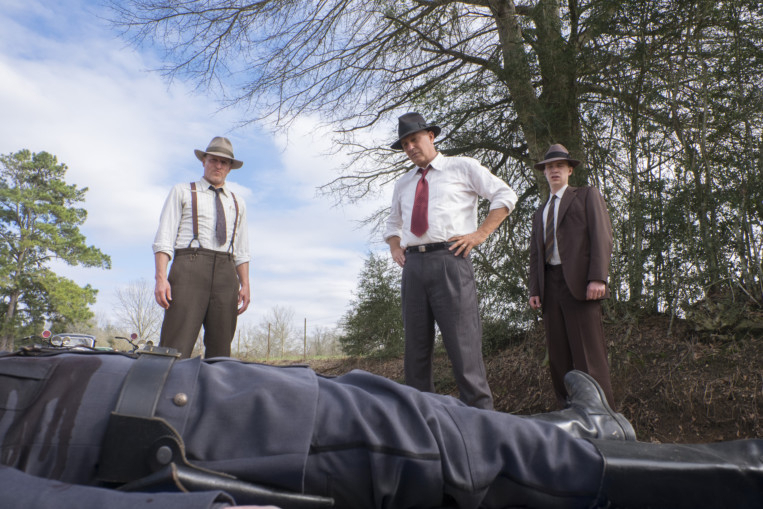 The Highwaymen streams on Netflix from March 29.